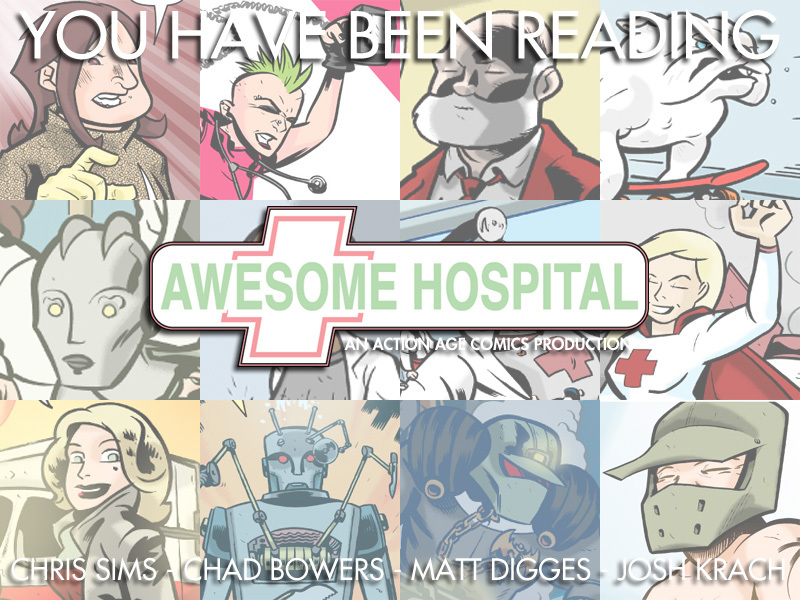 Thanks for reading Awesome Hospital, everyone! We thought we might want to do something so as not to spoil the last page of Forever for any new readers. Ifyou are a new reader, the links in the sidebar will take you to our three major stories, plus the bonus strips we did about Dr. Bulldog On a Skateboard and Nurse Punk Rock. One is a detective, the other doesn’t need your fancy medical school. We’ll let you sort it out. I just found this not that long ago and it is truly awesome. I hope it does come back soon. For now, I suppose I’ll check out some other Action Age comics. This keeps popping up as “new” on my RSS, which is mostly just depressing at this point.